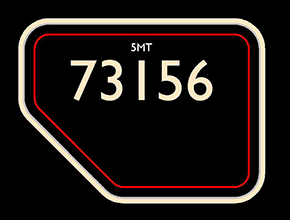 The 73156 Standard 5 Support Group was formed in 1985 to support the Bolton Steam Locomotive Co. Ltd., the owners of 73156, an engine which fulfils the Company’s objective of having local connections whilst in B.R. service. The Support Group, too, has its nucleus in the north west of England but also has members countrywide. It has assisted the Company both financially and physically throughout the restoration process prior to steaming in 2017, and will continue to do so to secure the locomotive’s future. We have a modest membership and are continually encouraging new membership of individuals who may simply wish to join the Society, and those who may be keen to be involved with administrative tasks behind the scenes and possibly becoming a committee member. 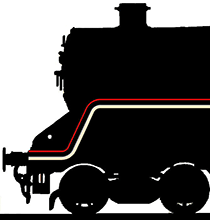 We produce a group newsletter twice a year called ‘The Standard’ which updates the locomotive’s progress, includes archive photographs and occasional articles supplied by members. For more information please contact Ian Bartlett on 01772 620115. Or email Vernon Sidlow at 73156s5g@gmail.com. The group has posted many photos of 73156, taken throughout its life on Flickr at https://www.flickr.com/people/110610246@N05/.